Fashion is a lucrative business, and no one understands this fact better than Belk, a chain of department stores in the US. Both its physical and online stores sell clothing, footwear, make-up, accessories, bath and home items, and the company also has a popular wedding registry. The company was first known as “New York Racket” in 1888, when William Henry Belk and his physician brother Dr. John Belk decided to sell various merchandise at a fixed price. Although it was an unusual practice at the time, the company grew steadily because of its popular bargain sales and smart advertising strategies. The success of the company cannot be underrated, especially now that there are over 300 stores all over America. Some of the stores are located in retail parks, while others are in lifestyle centers and regional malls. The number of stores also indicates the huge revenue the company earns each year, which in turn becomes additional benefits for its employees. Aside from competitive pay and a meaningful work experience, the company also provides health and medical savings plans, dental and vision plans, life and disability insurance, and retirement savings plans. Belk also offers career advancement opportunities for all its employees. The company provides its full-time employees online learning courses, training sessions, manuals, and other activities for professional development. How old do you have to be to work at Belk? You must be at least 18 years old to work at the company. The stores operate from 10 AM to 9 PM, from Mondays to Saturdays, and 12 PM to 6 PM on Sundays. The company strives to maximize the potential of each employee. It even outlines the possible career path for their team. For instance, an intern at the headquarters could eventually be promoted as Merchandising Assistant, then as a Brand Manager. Browse the following job vacancies to see which career path befits you. Sourcing Associate – The Sourcing Associate oversees the production process of the company’s brands, and develop brands that will become a part of the customers’ unique style. Each brand must meet the quality standards and market objectives. In this context, the Sourcing Associate also acts as liaison between the Brand Manager and Sourcing Manager. The candidate should be proactive, requiring minimal supervision. He must also be willing to travel and negotiate with vendors. As a liaison officer, a strong command of written and oral language is a must. Sourcing Assistant – The Sourcing Assistant is included in the production of Private Label Brands. On regular days, he helps the Sourcing Manager track and follow up on the status of private brand items. To ensure smooth and timely production, the Sourcing Assistant talks and updates with overseas agents and Branch Managers. Qualified candidates should be flexible and knowledgeable in fabrication, manufacturing techniques, and costing procedures and/or components. Sourcing Operations Coordinator – The Sourcing Operations Coordinator, tracks inbound and outbound packages, and helps coordinate the distribution of production samples. He sorts out packages and manages deliveries. Aside from his primary tasks, the coordinator may also be tasked to perform clerical duties. The company is looking for a candidate who has superior communication and interpersonal skills. He must be a highly organized individual, who can ensure that packages are delivered on time. Sourcing Manager – The Sourcing Manager supervises the production of specific brands, which must meet market goals and quality standards set by the company. More than business and technical acumen, the Sourcing Manager also deeply understands the Southern attitude and approach to fashion. He is also able to analyze competition and costs and other data crucial to boosting revenues. He must also be willing to travel abroad. Allocation Analyst – The Allocation Analyst’s tool is data – he uses these to sort the products needed for a store in a given location. His jobs are making initial allocations, monitoring inventories, replenishing stores with new stocks of items, and managing back-up orders. He knows the current sales trends and can suggest ways to improve sales and productivity. Sufficient knowledge of SPO, RMS, and APX (or a similar merchandising system) is required. Store Planning Manager – The Store Planning Manager develops strategies that drive sales towards a store location. His skills are needed to help low-performing branches to earn the projected number of sales. He uses his records and sales history to predict costs and revenues, and do damage control where needed. He studies the changing demographics and the emerging business competitions in a location. Textile Designer – The key responsibilities of the Textile Designer are creating garments that exude a style that’s distinctly Southern and fashion-forward, developing art prints, color palettes, and various designs for all private brands. However, the designer’s job is not limited to the creative process; he must also do market research to identify hot trends and passé styles. Apparel Designer – Like the Textile Designer, the Apparel Designer creates clothes that reflect the styles of the company’s target market. He creates designs that meet the tastes and standards of merchant partners. Such designs should also be similar to the creative direction taken by private label brands. Suffice it to say, the Apparel Designer must have a keen sense of style and a creative mind to manifest and produce his fashion concepts and designs. Brand Manager – The Brand Manager is part of the creative team, along with the Textile and Apparel Designers. The Brand Manager is assigned to design and manage the product development process, to ensure that products are categorized according to their brand identities, and researching emerging fashion trends. A candidate who has sufficient knowledge about the product line and has had merchandising experience is likely to get accepted. Technical Designer – The technical designer creates technical specifications such as sketches, measurement, trim and construction details, and other specs aligned with the company and brand’s quality standards. Part of his job is to evaluate garments and check for size and fit consistency. The Technical Designer must have strong attention detail, as well as excellent time-management, organizational, and communication skills. Knowledge of Windows and Adobe Illustrator is highly preferred. Go to the company website and then create a free user account. Once you have your account details, click on the “Careers” link. Click on the blue “Apply Now” button, and then key in your login details (username and password). You may also register using your Facebook or LinkedIn profile. Once logged in, you will be asked to encode your personal information and work experience. The last stage of the application process is uploading your resume on the website. An alternative is to copy and paste the contents of your CV on the text box provided. You may also personally hand in your resume. Be sure to check the stores near you and inquire for any job vacancies. Keep your resume neat and professional-looking. Avoid adding fancy colors and fonts. If possible, limit your resume to a maximum of three pages. Don’t forget to highlight relevant skills, awards, and certifications that you think may be of use for the position you are applying for. The company will send a confirmation email immediately after receiving your application. If you don’t receive an email after a week, you may call the head office and inquire about your pending application. Job interviews are usually quick and laid back, and would likely revolved around standard questions such as your availability and your reason for joining the team. The company prides in itself as a trendsetter. The moment you step inside its offices and stores, you will immediately feel the positively-charged environment. There is no politics as regards senior team leaders and young associates; everybody helps one another ascend the corporate ladder. As one of the game-changers in the fashion and retail industry, Belk has recently launched its sixth annual Southern Designer Showcase. This program aimed to look for fashion designers who share the same aesthetics with the company, and who want to grow their business in select branches of the company. 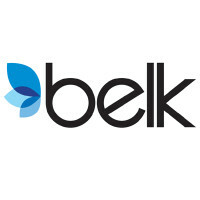 Belk carries well-known brands such as Crown & Ivy, Sophie Max, Wonderly, Madison, Kim Rogers, Kaari Blue, Biltmore, Belk Co, and Ocean & Cost, among others. As the company grows, it shares its blessings to the community. Through Belk Foundation, public schools annually receive over $2 million for better infrastructures, teaching and learning materials, and educational practices from courageous administrations, teachers, and other stakeholders. 1 How old do you have to be to work at Belk?